Mi&Co wanted to connect with and engage their customers with an interactive promotion during the busy summer months to increase their database and their sales. Mi & Co worked with ODICCI to create a scratch card campaign with unique codes, that were given to customers at the point of purchase. The scratch the card and revealed whether the participant had won something, but does not tell them what. British Airways (BA) is the largest airline in the United Kingdom. Earlier this year, BA partnered with Comic Relief to create their ‘Flying Start’ campaign. 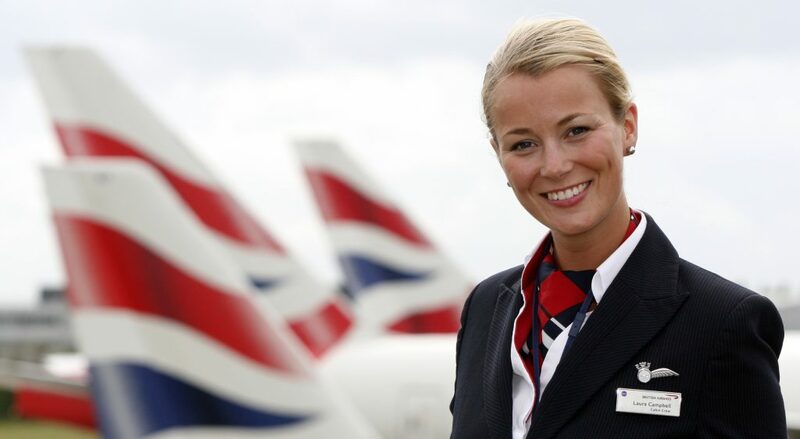 British Airways want to help give children in the communities which they fly to have a brighter future. British Airways needed a platform where customers could engage with their campaign, and decide how their £200,000 bursary should be distributed across UK and international charities. The four categories were: Domestic and gender-based violence; Homelessness and street children; Employability and education using sport; and HIV and AIDS. Makepositive is a consulting partner of Salesforce; they design, implement and maintain all Salesforce clouds. Makepositive are also experts in Force.com, Heroku and Amazon Web Services. The company wanted to capture more data and re-engage their audience. Working together, we launched a prize draw campaign to be implemented at Salesforce’s annual world tour. After the obligatory partying and drinking that comes hand-in-hand with December festivities, pubs can be neglected places in January. Seeking a way to combat the loss of business that so often befalls pubs at this time of year, Greene King – the UK’s largest pub retailer, partnered with ODICCI to create a campaign to re-engage and acquire customers. The Entertainer originates in Amersham, Buckinghamshire, and is the UK’s largest independent toy retailer. With 124 stores, many transactions happen every day, yet little data was being captured until the company partnered with ODICCI to create an engaging offline-online campaign. There are 32 Scribbler stores across the UK that see thousands of customers every day, yet little customer information was gathered until the company partnered with ODICCI to create an offline – online campaign. Previously, Scribbler used in-store sign ups/forms requesting email addresses and information, which they had to manually type up themselves. This was very time consuming and unengaging. So, how did Scribbler capture 10x more email addresses and increase their database by 50% in 4 months using ODICCI? Hawkin’s Bazaar (visit here) is a novelty gift and toy shop chain based in the United Kingdom offering a unique range of toys, gifts, gadgets and curiosities. Millions of transactions take place every year yet very little information is gathered from customers passing through Hawkin’s Bazaar stores. By implementing a customer engagement programme, Hawkin’s Bazaar looked to grow their existing email marketing database exponentially and drive local sales.